Portable Media Standard If you are storing Private or Confidential information on portable media, such as USB keys, CDs, DVDs, and flash memory. If you must store Private information on portable media, the media must be encrypted. 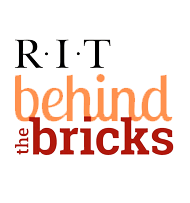 Own, administer, or maintain an official RIT web page that hosts or provides access to Private or Confidential Information. Signature Standard If you are sending out an e-mail, MyCourses, or Message Center communication relating to Institute academic or business purposes. This applies to both RIT and non-RIT e-mail accounts. If you own or administer any production, training, test, or development server, and/or the operating systems, applications or databases residing on it. If you create or maintain RIT computer and network accounts. Managers reporting changes in access privileges/job changes of employees. For business continuity and disaster recovery. Applies to any RIT process/function owners and organizations who use RIT information resources. NOTE: The “in compliance by” date for this standard is January 23, 2016. All instances of non-compliance with published standards must be documented through the exception process. Digital Self Defense 103 - Information Handling Covers important security issues at RIT and best practices for handling information safely. Disposal Recommendations How to safely dispose of various types of media to ensure RIT Confidential information is destroyed. Recommended and Acceptable Portable Media List of recommended and acceptable portable media devices (such as USB keys, CDs, DVDs, and flash memory). VPN Recommended for wireless access to RIT Confidential information. E-mail at RIT Improve the security of your e-mail at RIT. Visit our Keeping Safe section to find security resources and safe practices and to see our schedule of upcoming workshops. Find out more about how information security affects you by becoming a Fan of the RIT Information Security Facebook page. Follow us on Twitter for updates on current threats. If you have questions or feedback about specific information security requirements, please contact us.